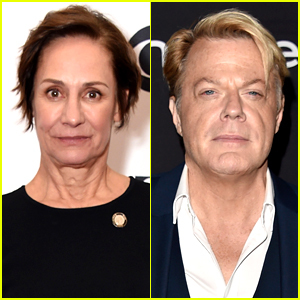 Laurie Metcalf and Eddie Izzard will be returning to Broadway next year in a new revival of the classic play Who’s Afraid of Virginia Woolf? The production, which will begin performances in March 2020 for a strictly limited engagement, will also star Russell Tovey and Olivier Award winning actress Patsy Ferran. Laurie will now be appearing in Broadway productions for five consecutive seasons. She was nominated for a Tony in 2016 for her work in Misery, won for A Doll’s House, Part 2 in 2017, won in 2018 for Three Tall Women, and is eligible this year for her current performance in Hillary and Clinton. Eddie‘s performance will mark his return to Broadway after ten years away! The production will be directed by two-time Tony winner Joe Mantello and produced by Scott Rudin. Emma Thompson Attempts to Lift a Shocked Hayley Atwell on the Red Carpet! It looks like Emma Thompson had some fun at the premiere for her film The Children Act! While walking the red carpet at the London, England premiere of The Children Act on Thursday (August 16), Emma spotted actress Hayley Atwell posing for photos. Emma ran up to her and attempted to lift her off the ground, much to Hayley‘s surprise! 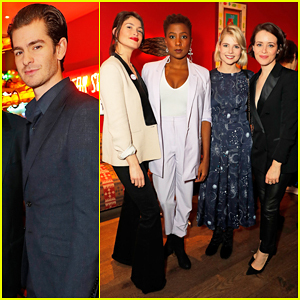 Also seen on the red carpet that day were director Richard Eyr, Emma‘s co-star Fionn Whitehead, and actor Russell Tovey. 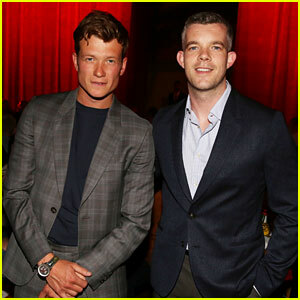 Quantico actor Russell Tovey snaps a pic with pal Ed Speleers while attending the Paul Smith fashion show during Paris Fashion Week Menswear Spring/Summer 2019 on Sunday (June 24) in Paris, France. The guys were joined in the front row by their friend and Ed‘s Downton Abbey co-star, Joanne Froggatt. Also spotted in attendance at the show were BFFs Colton Haynes and Ally Maki. They were spotted the next day while flying out of Paris together following their fashion week fun. “Hilarity and riot at the Paul Smith show in #paris. #ohwhatanight #clobber,” Ed captioned the below pic on Instagram.